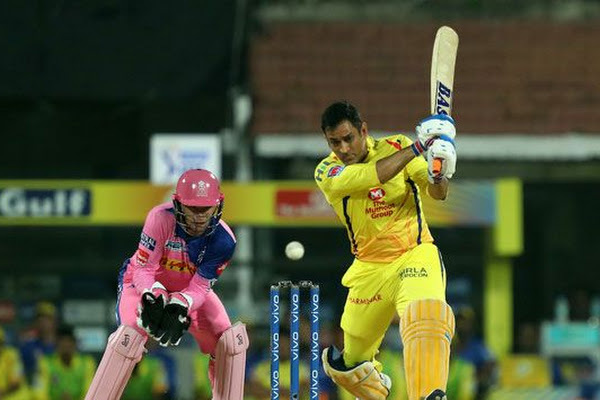 Mahendra Singh Dhoni's well-calculated half-century in challenging conditions turned out to be game-changer as Chennai Super Kings won their third match of the season with a eight-run defeat of Rajasthan Royals, in Chennai, on Sunday. The Royals needed someone to play a Dhoni-like innings but none took that responsibility and they could manage 167 for 8, suffering their third defeat in as many matches. Ben Stokes and Jofra Archer took the chase deep with their fiery 44-run stand but Dwayne Bravo bowled a brilliant last over, defending 12 runs that Royals needed to score to claim the win. Dhoni used his vast experience to read the conditions and mostly worked the ball around to keep the scoreboard ticking. Whenever he got the chance, he opened his arms and hit four fours and as many sixes.